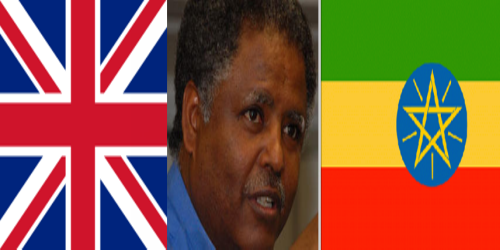 Reprieve press release: 10/17/2014 – A UK-funded aid programme to senior security forces in Ethiopia appears to have been placed on hold, amid criticism of Government inaction on the abduction, rendition and possible torture by Ethiopia of a British citizen. Andargachew ‘Andy’ Tsege (59), a father of three from London, was seized in June this year while in transit in Yemen. He has since spent nearly four months in secret detention in Ethiopia, where he faces a death sentence imposed in absentia. The Ethiopian government has admitted to British officials that Mr Tsege is in its custody, but has refused to disclose his whereabouts or allow meaningful contact with UK consular officials or his family. Legal charity Reprieve and law firm Leigh Day, assisting Mr Tsege’s family, have this week initiated legal proceedings against the Foreign and Commonwealth Office (FCO), which has said Mr Tsege’s disappearance is a “questionable but not a criminal matter”, and that it did not feel “entitled” to demand his return to London. Meanwhile, a £2m UK-funded Masters programme for Ethiopian security-sector officials, unearthed several weeks ago by Reprieve, appears to have been placed on hold. According to reports today, Dfid said it had ‘cancelled’ the programme due to “concerns about risk and value for money”. Details of the scheme had been removed from the Dfid website after Reprieve wrote to the International Development Secretary Justine Greening; the letter asked her to clarify the Government’s position on security sector aid to Ethiopia, and to ensure that UK support for the security forces did not continue while Mr Tsege remains in detention. Prime Minister Hailemariam Desalegn has refused to say whether the state plans to execute Mr Tsege or not, and there are concerns for Mr Tsege’s wellbeing in detention. Torture is widespread in Ethiopian prisons, and political detainees such as Mr Tsege are routinely subjected to serious abuses and dismal detention conditions in order to extract ‘confessions’.